- Ultra-light straight gate carabiner weights only 1.5oz. - It has a cold forged contoured ergonomic body with a straight gate which provides easy handling and smooth clipping. - Ideal for sport racks or any application where weight matters. 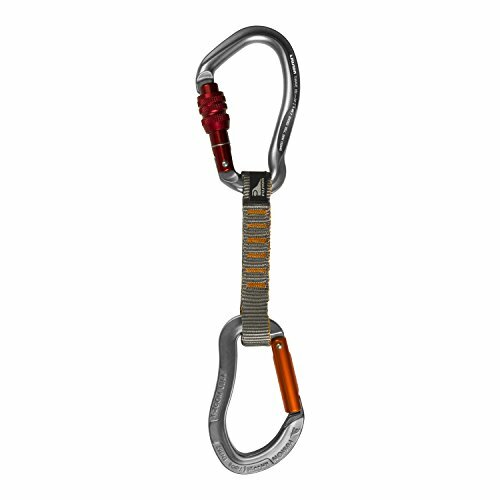 - This key-nose, ultra-light, straight gate carabiner weights at only 1.5oz and has a strength of 25KN. - Replacement or extension for existing quickdraw runners. - Stitched from 16mm wide 5000lb test nylon.